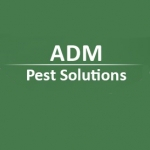 ADM Pest Solutions is a reputable name in the pest control services industry. With us, you get high-quality and affordable services for rodent removal, wasp control, bird and wildlife control, and much more. We serve the areas in and around Launceston, Exeter, Plymouth, Bude, Padstow and all of the South West. Call us today for a site visit and pest control plan. Friendly, reliable and discreet service. The job was completed in a fast, clean and efficient manner with recommendations to prevent future problems. The price was also very reasonable. I would highly recommend ADM solutions to anyone in need of pest control. Rodent control ADM Pest Solutions offers professional rodent control services for properties across Cornwall and the South West. We will ensure that your home is well-protected from the advance of rodents. Do you have a problem with nuisance birds such as pigeons and gulls entering your premises or damaging your property? Steer clear of this nuisance with our professional bird proofing services, at ADM Pest Solutions across the South West. Foxes and squirrels can be a real nuisance, causing damage to your land and property, and in the case of foxes, proving a threat to the safety of livestock or poultry you may keep on your premises. We provide effective wildlife management.